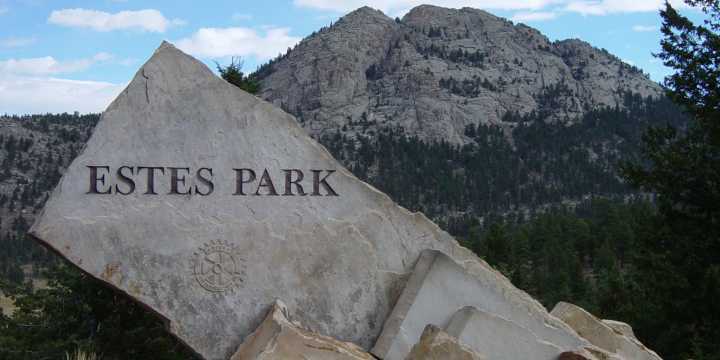 Eat a blue ribbon apple pie, watch a blacksmith make a horseshoe, and help build a historic log cabin at the 4th Annual Estes Park Heritage Festival on Aug. 21-22 in tree-shaded Bond Park in downtown Estes Park. Festivities begin at 10 a.m. with continuous musical performances, a mountain man encampment, and displays of vintage quilts, old fashioned dolls, and handmade soaps and oils. The kids will enjoy horse-drawn wagon rides and the popular petting zoo. New this year is the Blue Ribbon Apple Pie Contest. Dust off your mother&apos;s favorite apple pie recipe for a chance at taking home the prize "Best Apple Pie in Estes." Bring your entry to the Park in a disposable container for judging on Sunday, Aug. 22. Members of the Single Action Shooting Society will don authentic Western attire and reenact a Wild West gunfight with single shot, black powder guns. Watch your step, for notorious lawmen, gunfighters, gamblers, and soiled doves will roam Bond Park. From living history portrayals learn about the fascinating story of F.O. Stanley and how he used his Stanley Steamer automobile to transport visitors to his historic hotel and how Enos Mills led the charge for the formation of Rocky Mountain National Park. Explore the rich history of MacGregor Ranch, first settled in the mountain valley of Estes Park in 1873. Exhibits will also explain the history of YMCA of the Rockies, the Estes Park Museum, and Rocky Mountain National Park. While browsing through the exhibits, listen to the toe-tapping music of Kim Lankford & Scott Wilseck, Cowboy Brad and Kathy Fitch, and Jack Overly and Gary Reeves of Elk Hollow. Enjoy eating pulled pork sandwiches and old fashioned beans from Biggin&apos;s Barbeque. Your growling stomach will appreciate cinnamon roasted nuts, old-fashioned root beer floats, breads and cookies, funnel cakes, kettle corn and fresh lemonade. For more information about this fun family event, call the Stanley Museum at 970-577-1903 or visit the Estes Valley Historical Society website at www.epheritagefestival.org.